Beatrix Potter Flopsy Organic Snack Box with Cutlery Set Brighten up a back to school packed lunch with this adorable Flopsy organic bamboo snack box and cutlery set. This little snack box is the perfect size for a sandwich or a healthy fruit snack. Dishwasher safe. Not recommended for microwave use. Presented in a branded gift box H 6.5cm W 18cm D 6.5cm Ideal to keep your little ones happy when out and about, on day trips or for a family picnic. Did you know this product is multifunctional? It could also make a brilliant place for storing crafts, crayons or little toys. Makes perfect gifts for children, or even christening gifts. Suitable for ages 18 months+ Snack box lid is not leak proof. Avoid use with liquid foods. Border Fine Arts has been producing The World of Beatrix Potter products since being granted a licence in 1987. Since then, the collection has grown to include many different formats. The artwork for each product is taken from the original illustrations from the Beatrix Potter stories, and this mug has been lovingly hand painted helping to bring the character to life. Presented in a branded box, this beautiful money bank makes a wonderful gift for a birthday, Christmas or other special occasion.Material: Ceramic.Height: 10cm (4").Not a toy or children's product. Intended for adults only. Jemima Puddle-Duck gives you the perfect way for saving the pennies. This money bank has been lovely created, turning the classic Tale of Jemima Puddle-Duck book, into the shape and design of a money bank. An adorable gift for a newborn or small child to celebrate their Christening or to give as a keepsake. The artwork for each product is taken from the original illustrations from the Beatrix Potter stories. This ceramic money box will come in our brand-new style branded packaging. This charming Mrs. Tiggy Winkle & Lucie figurine is sure to make the perfect collectable gift for all generations to enjoy. The artwork for this product has been taken from the original illustrations from the Beatrix Potter stories, and has comes presented in a branded kraft box. Made from Resin. Not a toy or children's product. Intended for adults only. 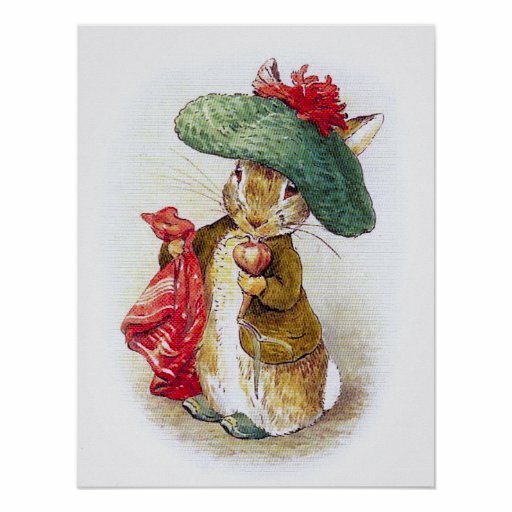 This customizable Beatrix Potter: Benjamin Bunny Poster is designed on the poster and would interest those who like vintagechest, vintage, beatrix potter, benjamin bunny, bunny, rabit, and easter stuff. Whimsical Beatrix Potter characters are bound to delight a loved one, especially this charming figurine. This figurine is sure to make a wonderful gift and comes presented in a branded gift box. Not a toy or children's product. Made in resin. Intended for adults only. 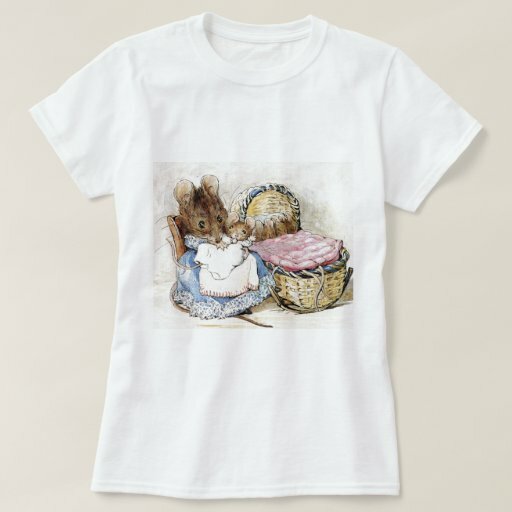 This customizable Beatrix Potter, Hunca Munca, Mother Mouse, Custom T-Shirt is designed on the tshirt and would interest those who like vintage, cute, hunca munca, trendy, chic, unique, and mouse stuff. 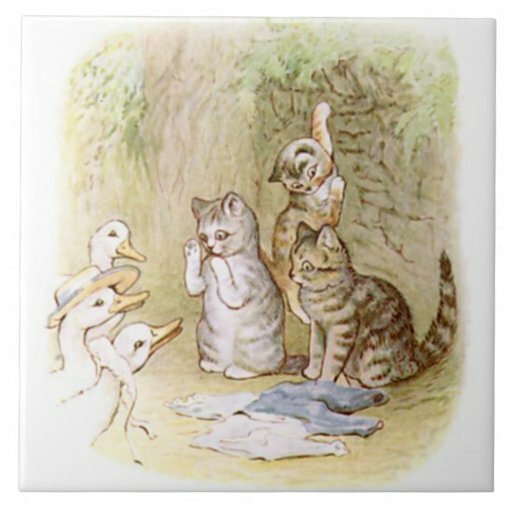 This customizable Cute Beatrix Potter The Tale of Tom Kitten Tile is designed on the tile and would interest those who like beatrix potter, fun, cute, vintage, custom, personalise, and girly stuff. Marta Mc Dowell combines the skills of a historian, biographer and gardener as she explores Beatrix Potter's passion for plants. Her book combines rich visuals with quotations from the writer's works, letters and diaries, to introduce the reader to Beatrix Potter's Lake District gardens. The author's passion for her subject and her own horticultural knowledge provide new insights for the reader, as she frames Beatrix Potter's works in the context of her gardening life. 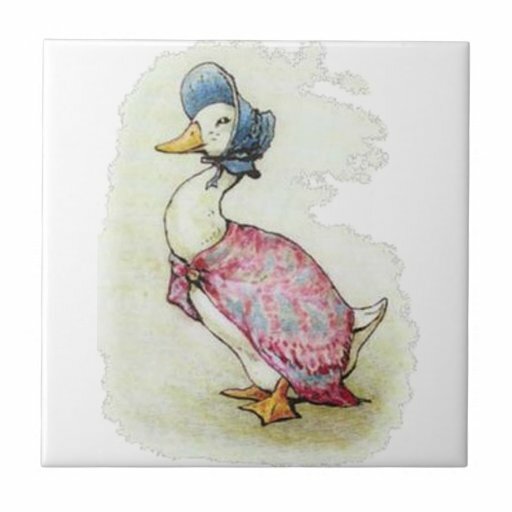 This customizable Cute Beatrix Potter, Jemima Puddle Duck Tile is designed on the tile and would interest those who like beatrix potter, cute, vintage, pink, childrens books, jemima puddle duck, and tales stuff.